Jmol is a web browser applet that offers an open source molecule viewer that can be integrated into web pages. Available for free, it is designed for students, teachers and researchers in the fields of chemistry and biochemistry. As well as functioning as a handy browser applet, Jmol can run as a stand alone Java application that will operate on any computer. It can be downloaded in various forms and will function happily on Windows, Mac OS X, and Linux/Unix systems. Indeed, with JmolViewer, it can be used as a development tool kit which you are able to integrate into other Java applications of your choice. There are various aids to using the software and these are available in the form of online tutorials as well as a well-written handbook. 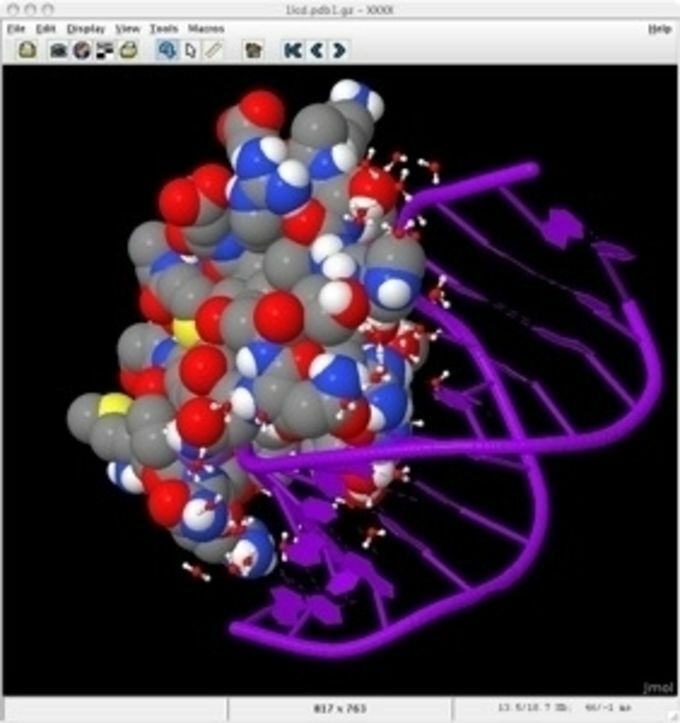 For anyone seeking out the answer to a specific answer about how molecular representations can be made in the software, a Jmol Wiki exists, frequently updated by the community of users. Various file types are supported, including Chemical Markup Language (CML), Molpro output and Spartan data (SMOL) to name but three. In the latest version, quintuple and sextuple bonds are now allowed for. Being able to visualise often complex molecules helps widen understanding and this is the very much the purpose of the programme. All of the major web browsers are supported. What do you think about Jmol? Do you recommend it? Why?